Ever been to Australia? If you have, then you will know how much we aussies love to BBQ. Combined this love of the open flame and my greek heritage, and you’ve got my very keto Seasoned Lamb and Haloumi BBQ Skewers. And no, for you who haven’t made the journey across the water yet, we don’t always throw shrimp on the barbie! 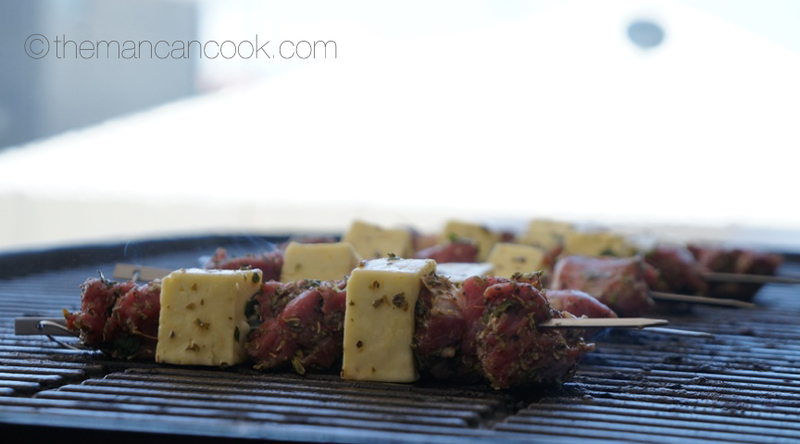 So even though it’s starting to get a bit colder over here, it’s still warm enough to be enjoying one of my afternoon cook-up favourites: Seasoned Lamb and Haloumi on skewers. Sounds simple, but tastes amazing. Make sure you check it out, click on the image above or the ‘read more’ link below for the full recipe. Now most of us in Australia own a barbie, so I’m going to assume you do too! If not, a skillet pan on a gas stove manages a decent crisp, however, a coal fired or gas open grill will give the best results. 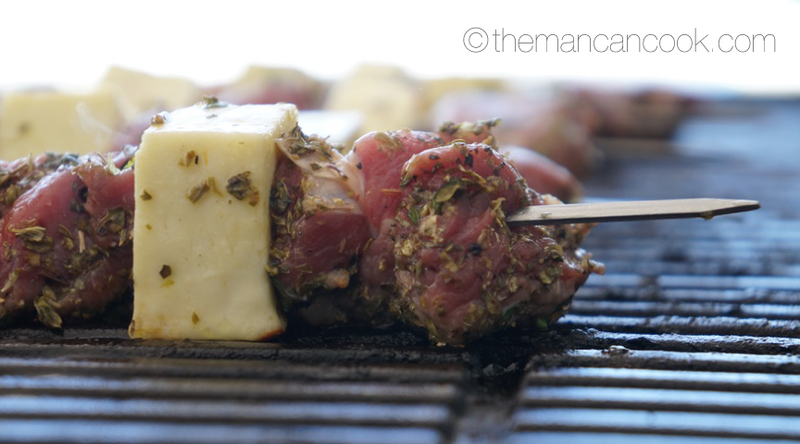 Cut the Haloumi and Lamb into cubes. Finely chop the fresh mint. Add a splash of olive oil over the meat, and sprinkle mint, oregano and cumin on top. Hand mix the ingredients together. You can marinate the mixture in the fridge overnight for best results, but 1 hour in the fridge is a minimum you can go by. Right before you prep the coals or burner, skewer the meat. Play your favourite beats in the background, best enjoyed in good company and a good environment. Keto Lifestyle All Carbs Aren’t So Bad!